Uncommon Criminals sees Kat, having continued her mission to ‘save’ artworks from the hands of those who have come across them in the wrong ways faced with yet another virtually impossible mission; to steal the legendary, cursed Cleopatra Emerald; a treasure that has been locked away for decades. The plot of this book was superb, I was initially a little disappointed at how easily and quickly they stole the Cleopatra, having loved all the logistics of the heist in book one. However it fast became clear that this wasn’t the main point of the story, and I quickly became engrossed in the issues faced by the character, which seemed even more impossible to overcome than anything they faced in Heist Society. I loved how once again all the characters were included and important, and we were even introduced to some new faces. The group dynamic works so well, it’s clear all these people know and love each other and are used to working together and that really comes across in the writing. How everything turned out was actually…wow. It was so clever and so unexpected yet so utterly simple, I was amazed. 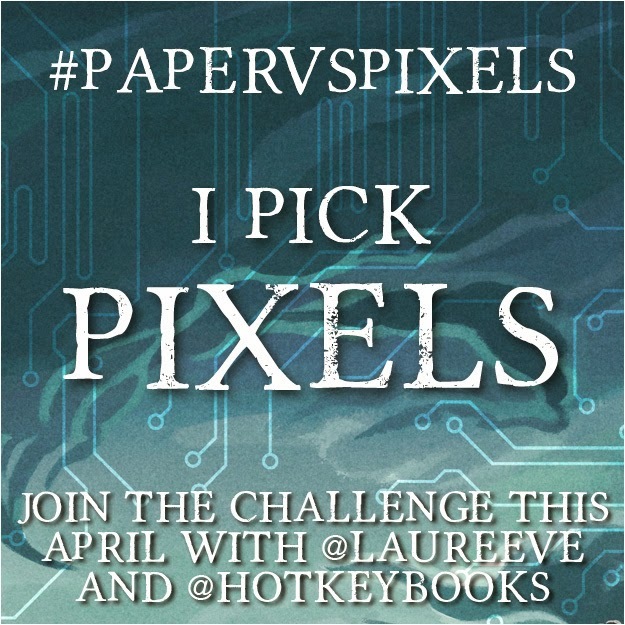 Again, I was a little disappointed that we missed some of the logistics because so much had to be kept from the reader for the dramatic impact, but we did see a lot of it and there were plenty of hints that it wasn’t over, that something else was going on, and that was enough to fuel my anticipation. I was so gripped, I tore through this book and then was of course, very sad that it was over when I’d raced through it! Kat herself, she felt both older and younger in this book, more mature yet more naïve. I did like this change in her, I liked that she was a little cocky as a result of her recent successes and how this affected her. It was fantastic that she leaned more on the help of others, that she opened up more to Hale, and yet at the same time she was a little reckless, a little irrational, but very determined. All of this added more dimensions to her character and made her even more loveable. Uncommon Criminals is a masterpiece of anticipation, suspense and wonderfully written characters. 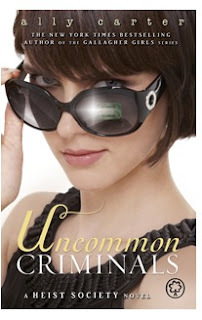 Stop by Liz's blog today where she will also be reviewing Uncommon Criminals! The emerald situation was so clever! I also thought it seemed too easy, and then realised that other stuff was going on :P. Ahh Hale. I wish he were real (and older) too :P. Great review :). I'm glad to hear your thoughts. My biggest issue with the first one was the characters. I liked them but I felt like the book was much more about the plot. Don't get me wrong, I'm a plot girl all the way, but I wanted stronger characters. It sounds like they get better in this one. Maybe I will continue on with the series. I love Hale! He is perfect! I can't wait for the next book. I also loved how they stole the emerald easily but then it became all about getting it back. I always love the tricks and twists in the heists. Glad you enjoyed it! I'm excited to read this series. I haven't read any of Ally's books, and I'm really getting into contemporaries lately! I'm glad to hear that you rated the second one 5/5! *wails* Cait, girl, you are REALLY making me want to splurge on Ally Carter's books. I mean, just the way you talk about Hale is making me swoon! Plus the writing and plots sounds awesome, too! Great review, as always. EEEEE CAIT! I really enjoyed Uncommon Criminals! The heist was AMAZING, Kat was AMAZING and Hale! *sigh* Like you said, I LOVE how supportive he was with Kat! Absolutely can't wait for the next book. Awesome review, Cait! ♥ Glad you enjoyed it!